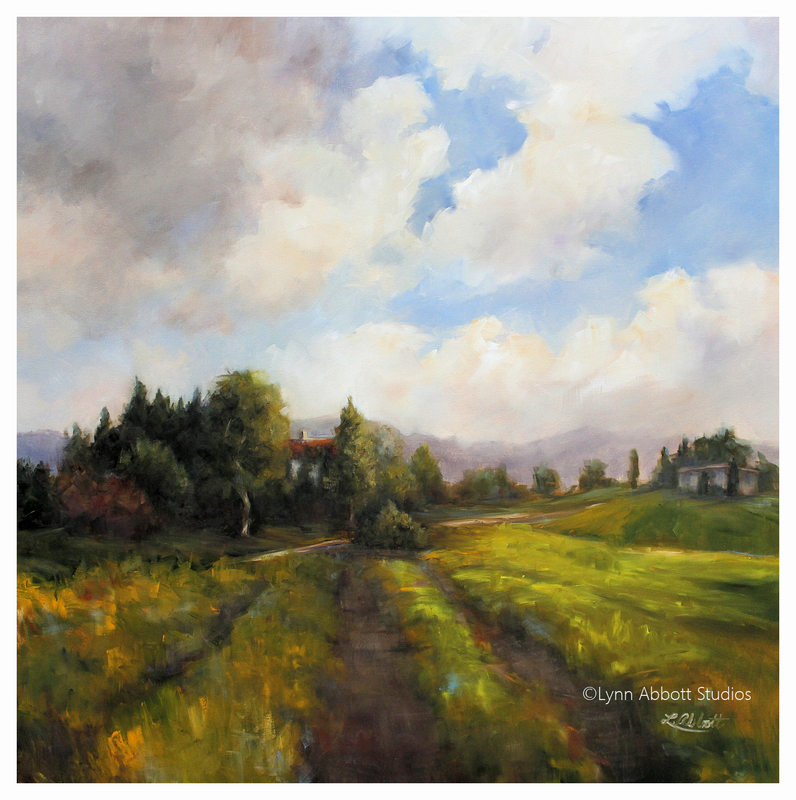 “Light Line,” © 2014 Lynn Abbott Studios. Used with Permission. I remember the day we buried Dad as clearly as I do today’s events. When Mom and I returned from Dad’s memorial service, the indifferent phone clamored for our attention. Needless to say, my mom and I both burst into hysterical fits of laughter, and we vowed to switch the message as soon as possible. A little comic relief? I’d say so. But it was more than that. It was the inauguration of a new path, a significant shift in my spiritual journey. Maybe, I’m a bit slow. I dunno. However, it seems that as I have grown older, God has used each new stage to draw me into deeper relationship with Him. I’m sure it is possible to meet God in that way without physically aging, but for me, the two have often gone hand-in-hand. And so it was that when my mother died a few years later, I didn’t have to wonder what God wished for me to discover as I journeyed through grief. I already knew the answer even though I didn’t much like it. Neither Mom nor Dad could come to the phone. Both had gone where there is no cellular service. And I could no longer discuss my day, my decisions or my joys with my long-established, trusted advisory team. A glimmer of God’s grace in grief. Funny that. You and I have access, previously unimaginable, to the Sovereign of the Universe. With the rending of the temple curtain upon Christ’s death, Yahweh was no longer inaccessible. Yet, I frequently found myself running to human counselors rather than to the Divine. And God is a “jealous” God, so to speak. He wants all of me–heart and soul. In fact, my life-long spiritual journey has been all about that: giving God more of me. And my parents’ deaths pushed me farther and higher. In grief, I learned to “God Talk.” Or at least, that’s what I like to call it. 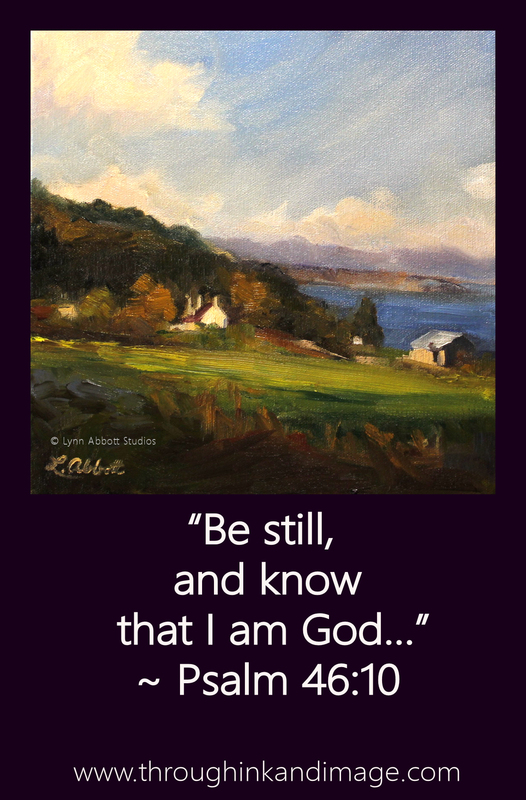 In his writings, Brother Lawrence describes the importance of conversing continually with God. And indeed, it is a crucial shift for most of us. Psychologists tell us that most of us “self-talk.” That talk is molded by our experiences, by others and by suggestions made by various external sources. And it’s pretty much constant. Incessant, actually. Sometimes, self-talk yields positive results. Other times, it drags us down. It’s unpredictable like that. And those who preach positive thinking advise us to simply focus on the uplifting. My life-long spiritual journey has been all about giving God more of me. But God offers something better. Something more powerful. A gift of God’s grace, it frees me from self’s natural, limited point-of-view. It breaks the bonds of self-talk. As a young person, I puzzled over that. It seemed impossible to pray continually. After all, I had to go to school and later to work. How could I pray without ceasing? Yes, it is true that Christ sought out time and a quiet place to pray daily, to commune with Abba. And that’s certainly important. Prayer, however, encompasses so much more than that… Our Savior modeled that for us as well. I think of His prayer just before He raised Lazarus. In that moment, He allowed those around Him to eavesdrop on His ongoing conversation with God, the Father, (John 11:41). Indeed, while it is apparent that Jesus spent time apart in prayer, His conversations with His Father certainly did not cease when He left those quiet moments and began His day of ministry. Without a doubt, He showed us that prayer is an ongoing conversation with our heavenly Father. The same can be true in my life as well. As I read, memorize and meditate on what God says through His word, the conversation begins. But our dialogue need not stop when I turn to the tasks of my day. As I “God Talk,” –or as Brother Lawrence said “practice God’s presence”– God’s Word saturates and transforms my mind (Romans 12:1,2). Instead of talking to myself, I continually sit in the presence of the Eternal Counselor, the Everlasting Father, the Mighty God, the Prince of Peace. Indeed, as I meditate on the things Abba has told me in His Word, as I talk to Him about my concerns, my solitary self-talk is replaced with unceasing conversation with the Creator of the Universe. How amazing is that! I’m not sure why it took me so long to see it. The book of Nehemiah gives hints of this deeper relationship. Nehemiah, in fact, understood “God Talk” well. Despite his rise to prominence while in Persian captivity, he longed for his native Israel’s capital to be rebuilt. In prayer, he expressed heartbreak over Jerusalem’s wasteland. Nehemiah tells us that he was very much afraid. Without a doubt, that’s the understatement of the year. After all, Jerusalem had been conquered by Persia. Nehemiah’s life was literally in Artaxerxes hands. His respectful authenticity obviously earned Artaxerxes’ trust and the king responded in compassion. 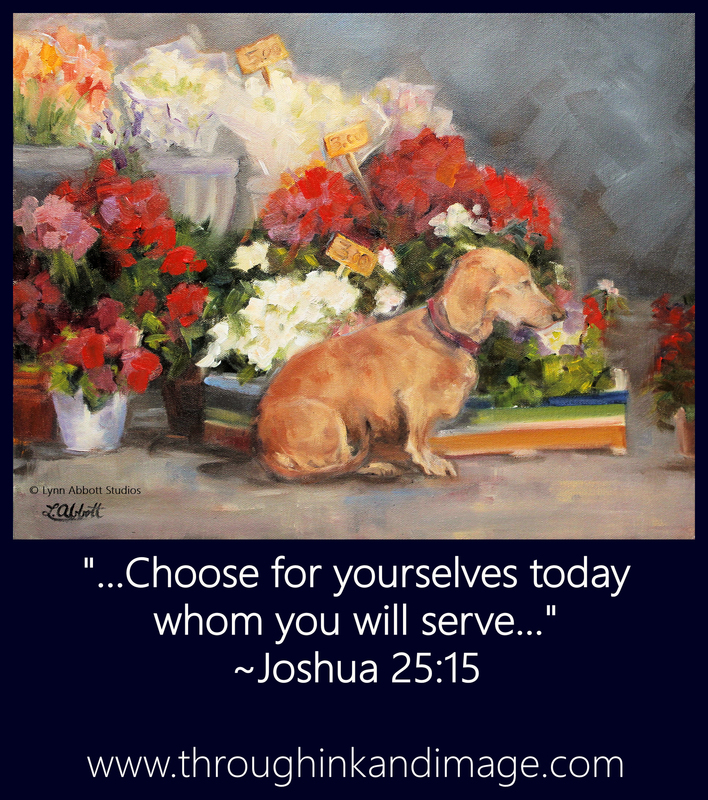 Nehemiah probably never anticipated what happened next: the king invited him to make a request. And the connection was clear. So it is when I talk with Abba throughout each day’s journey. My Heavenly Daddy listens graciously to my unceasing chatter. Of course, our conversation wasn’t always as continual as it is now. It grew as I did. Grief fostered faith and drew me to God’s throne of Grace. Oh, Lynn!!! This is so beautiful. I know the God-talk well, and I’m thankful for knowing He is always nearby. I want to give Him more of my time and awareness in all things. One of my favorite scriptures I’ve found comfort in is when Nehemiah talks about those against him, and he pleads for the Lord, “Strengthen my hands.” I always find comfort and encouragement in that. And with you, dear T.R.! ❤ and huge hugs! thank you for this so thoughtful and honest…my creator wants me to do his will, and to seek the creator in all things …thank you again .. Thank you, Anthony for your kind words and for taking the time to read here! It means so much to me! I am so enjoying your blog and your art. God bless you greatly! Thank you with all my heart, Vincent! You bless me again and again. I can’t thank you enough. God bless you greatly! I don’t believe it, Margaret! Your posts always make me think deeply about my faith! I’ll do the digging and find your post! 😉 I love spending time reading at your place! ❤ and hugs! 🙂 ❤ ❤ and huge hugs! Great advice and great art to go with post. I felt a connection with the phone booth and your story. I always seem to be more at peace when I God talk during the day but it’s so easy for me to forget to talk. I know, isn’t it? It’s so easy to get caught up in all the busy-ness of the day. Thank you for always being so authentic, Robert. Your writing and honesty truly encourage and inspire me to walk closer with God. God bless you greatly! “One thing, however, is sure. In Christ, I may boldly dial direct. Abba never roams out of range. And I never need ask, “Can you hear me now?” This is going on my list of favorites. 🙂 I LOVE the account of Nehemiah! And I love the beautiful symbolism God gives us in the tearing of the curtain… from the top down, GOD himself removed the barriers. How gracious that what God desires from us are those things that are best for us! God bless you in a special way this week! Oh, Eunice… you are way too good to me! Thank you for your very kind and generous encouragement. I’m so grateful for your friendship, and I’m so glad you are back from your hiatus! We all missed you…me especially! ❤ and hugs!! Brother Lawrence——now why should I be surprised that you refer to Brother Lawrence? Thank you Lynn–and a huge hug!!! Thank you, thank you, dearest Julie! Yes, our Father God knew that we would instantly connect… that we have shared a good many life experiences and that our thoughts and hearts bear a tremendous resemblance. You are such a wonderful friend and I am so grateful to have met you! God is so good and has blessed incredibly by introducing me to you. Sleep well, my dear friend! ❤ and hugs! Definitely well written. It puts our relationship with our Father into a different perspective. We are in a constant chat session with him. There is no -see you later or goodbyes. Wisdom from the throne room is always at our disposal. Awesome. I’ve built that but there are times I forget it. Thanks for the reminder. I said once – since Bluetooth was invented I feel less foolish talking while no one else is in the car. I don’t look as crazy talking to myself (or praying) as I used to. Lol. God bless. Love that, Beth! And so, I thank God for Bluetooth! 😉 I love how you phrase it: “We are in a constant chat session with Him.” What a wonderful thought and image! Thank you for your beautiful comment. Your words here speak so much wisdom and they inspire me. God bless you big time! Oh, yes! That’s beyond all doubt, Bruce! Thank you for mentioning David’s close communion with God. What another wonderful example of communing with God the book of Psalms are! And Amen and amen to all that you say in this inspiring comment, Bruce. I especially love what you say here: “We are indeed, current, spiritual creatures within physical bodies, united with our Creator.” You have expressed it so succinctly and eloquently. Thank you! And may God bless you and yours as you so greatly bless me, Bruce! 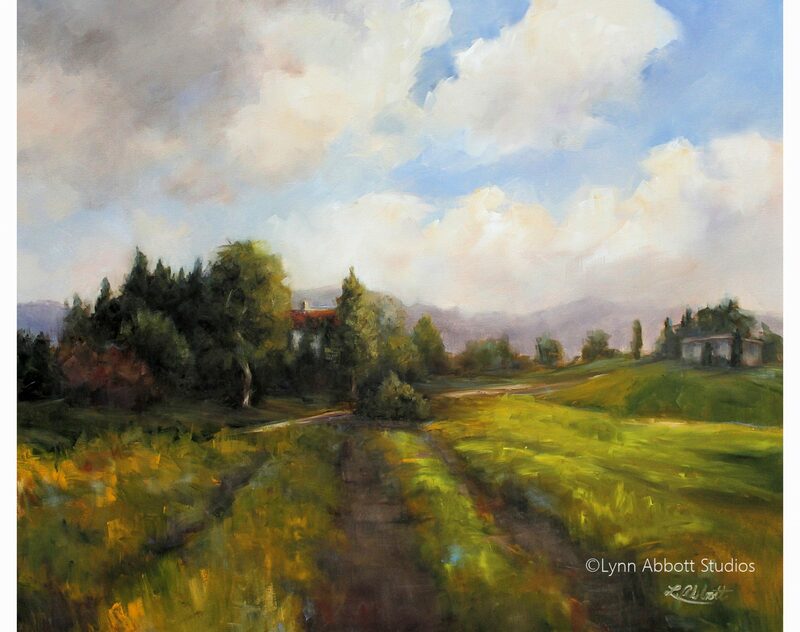 You write (and paint) beautifully Lynn. 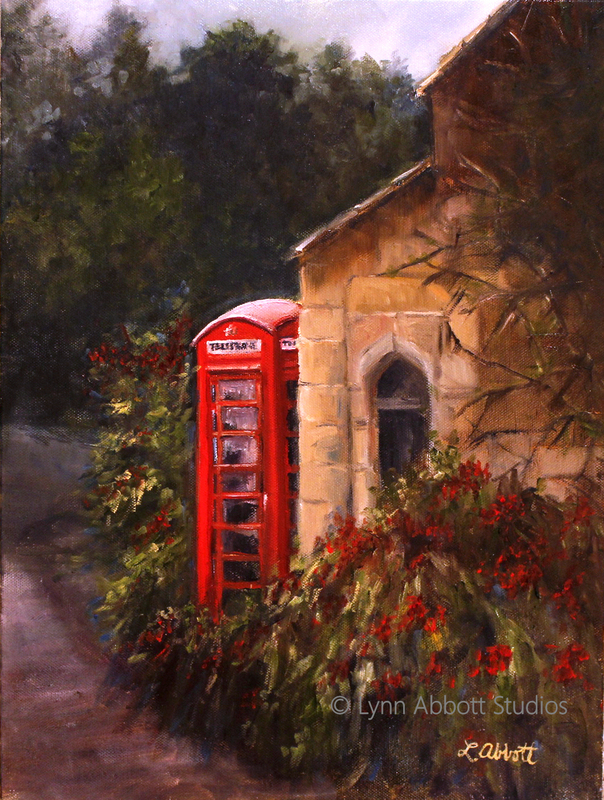 (How I remember these old phone boxes and stone buildings from my youth in Yorkshire). I didn’t realize you grew up in Yorkshire. So beautiful. We lived in Surrey for a number of years… I don’t know if I ever mentioned that to you. And yes, I love the old phone boxes. Sigh they are rare now. I have often wondered if they might be re-purposed as internet hot spots… places of public access to the internet. They are such lovely booths that I hate to see them disappear altogether. Thank you for your incredibly kind words about my art and writing. You truly encourage me, and I am so very grateful. God bless you beyond all that you can imagine, Warren! Yes, we are, dear Lia! I wholeheartedly agree. And thank you with all my heart for your kindness, and wonderful friendship! Love and hugs to you!! You had parents who loved and cared for you, with whom you could talk, and they would listen. That was a gift, a blessing from God. Not everyone has that. I didn’t. My dad was an abuser. My mom, emotionally withdrawn. I had very few I could talk with besides God about what was truly going on inside of me. And, that was my gift, my blessing from God, because my grief began when I was but a young child, but it was what fostered faith in me and drew me to God’s throne of Grace. I learned early on about “God talk,” because most of the time, he was the only one I could really talk with about what was truly going on in my heart, and about how I felt about life. I learned early on about conversing with my Lord throughout my day, and not just in moments officially called “prayer time.” And, throughout my life, God has been the one who has always been there for me, always faithful, never too busy for me, always loving me, and caring for me. I had more grief to come in my life, too, but mainly it was not through physical death of loved ones, but rather through loss of love – lack of true caring, abuse, and rejection from others, etc. But, each one of these situations, if not right away, eventually fostered faith and drew me to God’s throne of Grace. So, they were God’s gift to me, too, his blessing in my life, that drew me to himself, and taught me that he was my all-sufficiency to meet me in my every need. Oh, Sue… I am so sorry for the heartache you have experienced! It breaks my heart to hear of it. Yet, I know that your relationship with Christ is truly deep and that is the good that God is able to bring even out of the worst of circumstances. I’m truly grateful that He did that for you! Yes, I count myself extremely blessed to have had such a close relationship with my parents. My father was bed-ridden from the time I was ten years old, and so he was home when I got home from school everyday. Thus, I had wonderful conversations with him, and he was delighted to have the company. Mom worked full-time to support us from that time forward and so she and I became a team…taking care of Dad and just managing life. She became my best gal pal. It was difficult for my parents… but a blessing for me. And I’m truly grateful for the special relationship that it cultivated for me with them. But I do know that many are not so blessed as I was. And I truly wish that were not so. I look forward to the day when Christ puts all things right again! Love and Hugs to you, dear Sue! Lynn, God is absolutely sovereign over all that he has made. Before the creation of the world he knew you, and he knew me, and he had a plan for each one of our lives. I and you are wonderfully made by God. He formed us in the wombs of our mothers, which means he placed you and he placed me in the families we were to grow up in. It is not God’s will that we sin or that others sin against us, but he has allowed evil to exist, because he allowed us to exist, and so we will choose him by choice. He allows evil, too, to draw us to him, to even push us towards him. So, all of this was in God’s plan for my life and yours for your life so that we would become the women God created us to be for his purposes. So, all is good! Love and hugs to you, too, my dear friend!! Amen, dear Sue! I’m so thankful that God worked such a miracle in you through the most trying of circumstances! You are such a blessing and inspiration to so many! ❤ and hugs!! Glory to God, Lynn! Thank you so much for your very sweet and kind words, as always. Hugs back to you! Great post, Lynn. “Without a doubt, He shows us that prayer is an ongoing conversation with our Heavenly Father.” To me, this is key, as prayer is generally a weak spot with me, especially long, set-aside times; my mind seems to wander. But to pray without ceasing … talking with God in an ongoing conversation throughout the day … THIS I can do. I am so glad God “allows” us prayer-challenged saints to do this. You’ve captured this truth perfectly! Oh, it is easy for the mind to wander to the day or off on rabbit trails re: the things we pray about, isn’t it? I often need to walk around as I pray just so that I can keep focused… especially when I am tired. 😉 Yes, I am so thankful that we can maintain that ongoing conversation. Thank you, David, for your encouragement! Your comments are always so thoughtful and wise. I so appreciate you! God bless you big time, my friend! Love this idea. I agree that “God talk” is a product of time and life experience and prayer. Oh Lynn, so beautiful. We all need the reminder to continually be aware of our God’s presence and to converse with Him always. (I love the small book by Brother Lawrence.) I daily long for growing intimacy with Christ. Thank you for always pointing us there. Oh how blessed we are to be able to communicate with Almighty God in such a personal and direct way. Thanks to Jesus and His precious love for us, the doors have been opened, the curtain rent and we have direct access. I love your words and the painting is beautiful. I love this, Lynn. God is using each stage in my life, too, to grow into a deeper relationship with Him. As I learn to trust Him more, I find myself whispering breath prayers to Him. I love that He is always available 24/7. I say Amen to this – “One thing, however, is sure. In Christ, I may boldly dial direct. Abba never roams out of range. And I never need ask, “Can you hear me now?” Again, I love your painting, too, especially its message of “Light Line.” 🙂 Love and hugs to you! Thank you, Lynn, for this post. When my mom died eleven months after my dad, I asked a priest and friend of our family, “well, am I an orphan now?”, he said, “Yes, technically you are.” I knew he was being ornery and trying to lighten the moment, but immediately, I knew the truth and told him, “No, I am not. I have a Heavenly Father who loves me.” He agreed, of course. It took me quite a while, though, to not automatically head to the phone to call Mom when I had something new to share….The blessings of grief are real, though, and our Father continuously comforts and teaches us…. and your words are true and appreciated! Thank you so very much, Efua, for your thoughtfulness! Your words buoy my heart, and I am truly grateful for your friendship. I just spotted your next installment about the naming of your blog. It’s late here, but when I’m a little less sleepy, I’ll be right there to read. I can’t wait. Part One was so incredibly powerful. ❤ and hugs! Amen, Lynn! Brother Lawrence’s “Practice” was a huge discovery for me as a still-new Christian. Only way to truly live. You betcha! So true, Mitch. I remember being frustrated one day–a long time ago–and announcing to God in my “toddler mindset” of that moment that I wasn’t speaking to Him… *rolling eyes* Worst few minutes ever… Didn’t last long. I was asking for forgiveness “pronto!” 🙂 Thank you so much for stopping by, Mitch! It means the world! God bless you greatly, my talented friend! Beautiful Lynn, thank you so! I needed that. Thank you so much for your kind encouragement! It really means a lot to me! God bless you big time! Loved this post , the phrase “Grief fostered faith and drew me to God’s throne of Grace.” Is soo sooo true especially for me right now. God Bless ! Thank you for this inspiration. One of my goals is to practice the presence of God more and more. I must admit I fail miserably through out the day but the times when I tune in I am overwhelmed by the kindness and mercy of Jesus. Well, I think you are pretty tuned in, Scott, because your posts truly exhibit God-given wisdom! But yes, I think we all can improve a lot when it comes to communing with God. I know I sure could do better. But of course, that’s what it’s all about… growing closer to God and more aware of Him everyday… and helping others to know Him, too. You regularly inspire me to do that, Scott. God bless you! I appreciate you. It makes me joyful to know you. It is not like my worldly friends always clamoring for what they can get for themselves. I want to inspire you and you inspire me I want to encourage you and you encourage me. This is how Jesus is meant to work. Love building love not love getting stifled. But even though it is frustrating He pours His love on those who don’t deserve it as well which was me and is me. Aww… thank you, Diana! That means so much to me! I have often wondered if God could use my art in the way that He can use my writing. It is so encouraging to me to know that the art resonates with you! Thank you, thank you for sharing that! It means the world! ❤ and hugs! This was the first blog entry of yours that I have read. I can’t wait to read more! There aren’t many writers than can draw me all the way in so quickly. You have such a beautiful way with words. Even cooler, your post relates to where I am, spiritually, right now. I’m currently reading a book by Mark Batterson called Whisper. It’s a wonderful book about hearing the voice of God. I’m also learning to talk with Him throughout the day so, I loved how you talked about how prayer can be continual conversation. Like I said, I’m so glad I took the time to read and I can’t wait to read more! I feel the same way; no coincidences! There are people who you just connect with out of nowhere. I think that’s so cool because they are God connections! Well, I’m a beginner and my writing won’t hold a candle to yours but I know I’m called to write and tell my story. Yes! No coincidences! You are a very special God-appointment! You and your blog are a bouquet from God to me! And I think you have a beautiful gift for writing; I’m so delighted and honored to be able to read your posts. Looking forward to “talking” more. God bless you beyond all that you can imagine, Joni! ❤ and hugs! nice and Awesome post. It’s a really so useful details,Thank you so much dear for amazing sharing.. Thank you so much for stopping by and for your encouraging comment! It means a lot to me! I am hardly what anyone would call a prayer warrior. When I read of Nehemiah praying for guidance or Gideon conversing with the Angel of the Lord, I scratch my head. Their courage came from somewhere. Because I too need it, I keep reaching for it. Thank you for your post, for sharing your grief and inspiration. Thank you with all my heart, Wally, for re-posting this… this post talks about the kind of prayer and relationship with God that I am absolutely passionate about. So thank you and thank you again for helping me spread the Word! You’re the best. God bless you big time! Thank you Lynn for your Heart touching Message and yes my Prayer Closet is my Heart too, many times a day I talk to my Abba Father and often to Jesus who reassures me when needed that I’m not alone and He Uplifts me and encourages me when the road gets rocky. Sometimes I just have to express my Love to Them in Song and now in the Morning I write down my Prayers too as I Pray for those in need, for my friends and my Blogging friends and anything else that needs Prayer including Thanking Them. I often ask God Lynn that my Love for Him and for others will be 100% and that if needed I will forgive others if they hurt me, remembering that Hurt people Hurt people, they may need healing or just to feel Loved as I have needed much more than once before. I never hear God audibly Lynn but He does answer my Prayers, sometimes in amazing ways and He often uses Scripture or Blogging Posts that others write, to confirm His answers. God Bless you Lynn today and everyday with His Love, Joy Hope Peace and Rest. Thank you for your kind comment. God bless you!